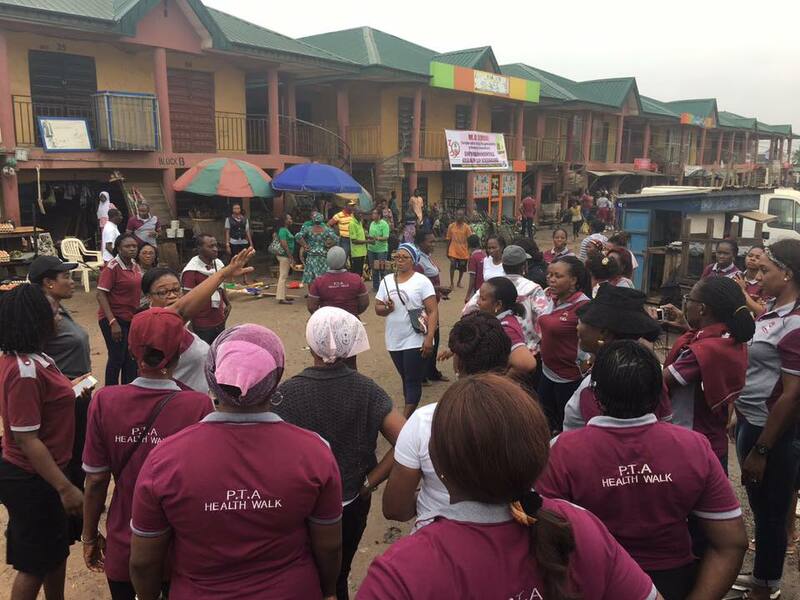 The pupils of MD School number over 200 on Saturday cleaned up the Oja-Oba market in Abule Egba, Lagos, reports ITRealms. The exercise, ITRealms gathered was part of the activities lined up for the school's 30 years anniversary celebrations, began at 8am with parents and teachers guiding the students. Excited Executive Director of the school, Omolara Adedugbe, said the exercise was part of their corporate social responsibility to the community where the school is situated. “We chose to be here because the market is a filthy place and this goes to show that we are conscious about our environment and its people. As you can see, the marketers are very happy about the exercise. We were well received and have promised not make it a one-off thing. We hereby enjoin other corporate organizations in the state and the country at large to adopt the exercise. “We want people to come out and should not feel too big to identify with these people,” she said. The Secretary of Oja Oba Market, Alhaji Adeshina Akanni Jimoh, on behalf of the market executives and the traders expressed appreciation to the school's management, students and parents for carrying out the exercise. “Though, we carry out the exercise weekly in collaboration with LAWMA, but today's exercise is commendable and we are saying a very big thank you to the school's management for this strategic move,” he said. Commending the school further, he said, this is first of its kind, just as the exercise was supported by Lagos State Ministry of the Environment and the Highway Managers.